To be built custom designed home. This is a base price for a 2400 square foot 4 bedroom 2.5 bath colonial home with a 2 car garage. 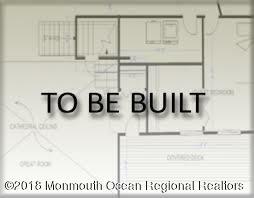 Buyers can meet with the builder for upgrades and changes as well as custom floor plans. Convenient location to schools, shopping, beaches and highways.